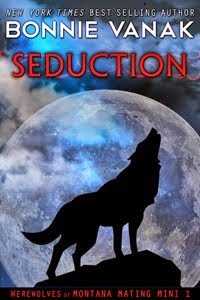 I've decided to do a new series that dovetails quite nicely into my Werewolves of Montana series. I'm calling it the Werewolves of the Wyld. It's about a group of female shifters/weres who were given to foster parents across the USA to raise as humans. They don't know they are werewolves. They are like a secret power force for the goddess Danu, and there are 12 of them. They come into their powers when they find their own Ring of Infinity and recite the ancient texts from scrolls of wisdom. It is their choice if they accept their powers. They are no ordinary were - they have the ability to shift, telekinesis, and teleporting. The Werewolves of the Wyld are almost as powerful as the wizards of the Brehon. 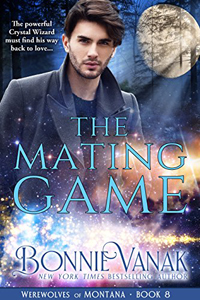 The first story will be The Mating Frenzy, Kieran's book. Kieran is the jaguar shifter from The Mating Ritual. The two remaining wizards - Drust and Cadeyrn, will both still have their stories as well.